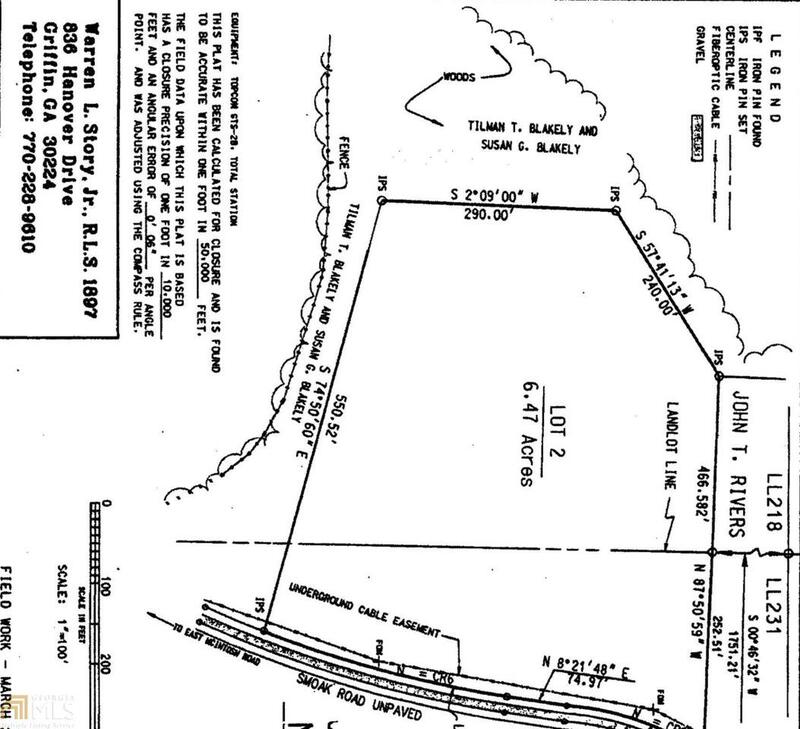 Beautiful 6.47 acres located on a quiet road in Northeastern Spalding County! Hardwood trees and almost 600 feet of road frontage. This land is convenient to the Sun City Peachtree/Del Webb, Locust Grove, Griffin, and I75. Perc test and survey available! Could Possibly be divided ! Build Your Dream Home.